Dear Daily Signal: Perhaps the left should back down on the partial government shutdown fight over the border wall? They’re dead wrong and too stubborn to admit it (“From Oval Office, Trump Says Border Wall Would Make Nation ‘Safer Than Ever Before’”). House Speaker Nancy Pelosi and Senate Minority Leader Chuck Schumer, the two clowns in the rebuttal to President Trump’s speech, cried about government employees’ not being able to pay their bills or mortgages and feed their families. What’s the commonsense policy my parents taught? Put one-third of each paycheck into the bank or savings for a rainy day. Well, government employees, today is your rainy day. Just go and use your nest egg, cut back a little. You’ll survive. One finds “good neighbor” fences throughout Pelosi’s state of California. 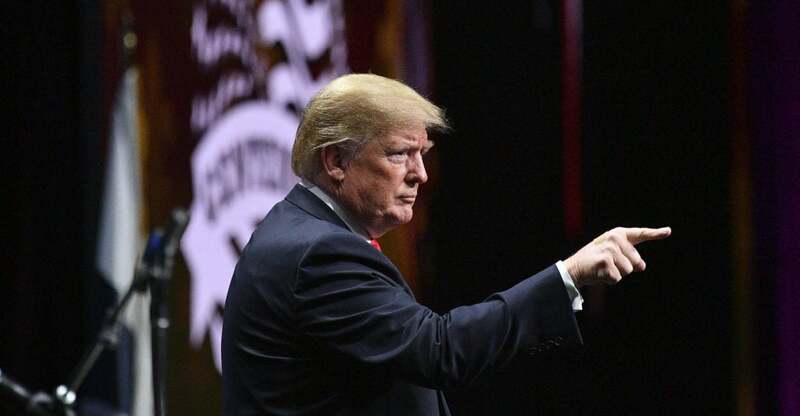 The Democrats are trying again to do like they did with Reagan (“Trump to Address Nation on Border Security as Pence Says Democrats Won’t Negotiate”). Open the government back up, they say, and then we will dangle the border fence at you. But it will be soon shoved aside, as we have work to do. President Trump won’t let them, and now the whole shutdown is flat in the Democrats’ faces, with them not knowing what to do. Funny thing, Democrats have never had to deal with our president before. All the other Republicans would have folded and gone home by now. Good for Donald Trump.